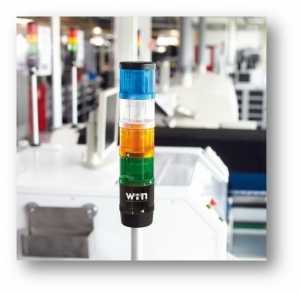 Why Use The Werma Mdc System? Why Use the MDC System? Watch the video to see how the Perforex BC is fully automated, fast, precise, and reliable for modifying enclosures. This new video showcases Perforex machines in action as they deliver fully automated, fast and precise modifications. System integrators and distributors will save time and money through automated drilling, thread-tapping, and milling of doors, roof plates, side panels, gland plates or complete unibody enclosures. All materials commonly used in panel building such as steel, stainless steel, aluminium, copper and plastic may be machined very cost-effectively. Users also benefit from significantly enhanced precision. Test the new communication solutions for the field and control panel. 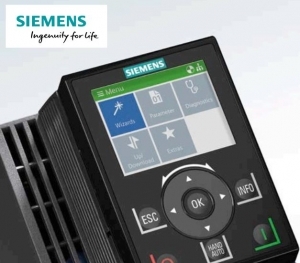 SIRIUS ACT with PROFINET connects push buttons and signaling devices directly with the controller and HMI devices via PROFINET - including safety functions, with engineering and commissioning being simplified by the TIA Portal. Additional benefits include uniform data management, shorter downtimes thanks to faster fault diagnostics and option handling, which can be used to flexibly design plants and systems and even modify them during operation. It's plain to see why you need Rittal's Deep-Hinged Window Kit. Rittal is proud to announce the latest enhancement to our product portfolio - Deep Hinged Window Kits (WKDH). WKDH is used as a viewing window where access to components behind the window is required. It is designed to protect HMI displays, pushbuttons and other components mounted on the door of an enclosure from the outside environment. It fits on the usable area of Rittal's freestanding and wallmount enclosures. Deep Hinged Window Kits are available in seven standard sizes, across three material types - Carbon , 304 and 316L stainless steel. The overall depth of the window kit allows for extra deep pushbuttons to be used. All products come with a full-size drilling template for easy mounting. Rittal's WKDH is FTTA UL Listed and rated for UL Type 4/3R/12 for carbon steel and UL Type 4X/3R/12 for stainless steel. As a machine builder and equipment supplier, you know that the requirements placed with regard to motors and drives are continuously increasing. You are used to obtaining components from Siemens, which allow you to fulfill these requirements. However, the following also applies: Increased power respectively an enhanced functionality of their components opens up new possibilities for you, which allows you to improve your products, plants and systems, offer your customers added value, and expand your market position. This can only be implemented at reasonable expense to a certain extent within a device generation. One day you will be confronted with limits which can no longer be surpassed using existing technology, but require a new approach to be applied. Assembly and Quality Testing are two applications where Robotiq's products offer and impressive return on investment for clients and potential customers. 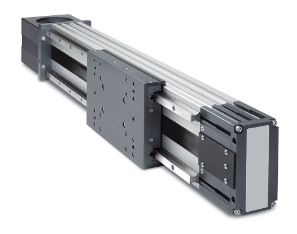 Assembly covers a wide range of applications and the flexibility of products used is critical. Coupled with Robotiq's Gripper, the FT 300 Force Torque Sensor enables the performance of several solutions in an effective and efficient way. Robotiq’s Force Torque Sensors give your robot the sense of touch. By installing a Force Torque Sensor on your robot, you’ll be able to reliably perform tasks such as precision part insertion, assembly and fabrication, and product testing. The future of 3D product design software is available now with Solid Edge generative modeling, additive manufacturing and reverse engineering capabilities. Enabled by unique Siemens convergent modeling technology, these capabilities work alongside traditional Solid Edge editing tools to seamlessly integrate existing products into your development process. Optimize products for minimal mass with goal driven generative design, and further modify the components using reverse engineering. Finalize your parts by tapping into additive manufacturing processes- either 3D print them yourself or access an online network of services. Industry 4.0 is about seamless data flow all across the company, from the machines on the factory floor to the ERP and the order-shipping-billing system in the office floor, and even to people and systems outside the company. The question is, how to preserve transparent data communication flows, while ensuring cybersecurity? The answer is an industrial firewall which will filter allowed and forbidden traffic. That way, precisely those communication channels can be filtered, that are an intrusion-hazard for Trojans, bots and viruses. 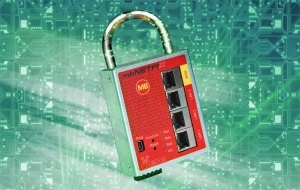 The mbNETFIX is exactly that kind of industrial firewall, especially designed for the automation industry. A special feature is the integrated learning function. The firewall learns the data traffic and the user is able to directly and explicitly release or block the connections of each IP-unit out of a learned packet chart. Depending on the application, it’s important to know how to best protect your actuators from contaminants. There are several options to consider. Rittal’s climate solutions save energy and money! Rittal’s climate control solutions will reduce your enclosure energy costs by 20%. 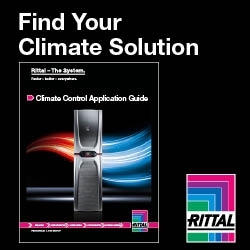 The complete suite of climate control systems from Rittal use the latest energy efficient design and manufacturing principles to save you energy and money. Climate control products offset their price by improving the durability and uptime of the equipment they protect. With Rittal, you get durable, long-lasting climate control products that protect equipment in the world's harshest environments, and deliver significant energy savings to your operations.